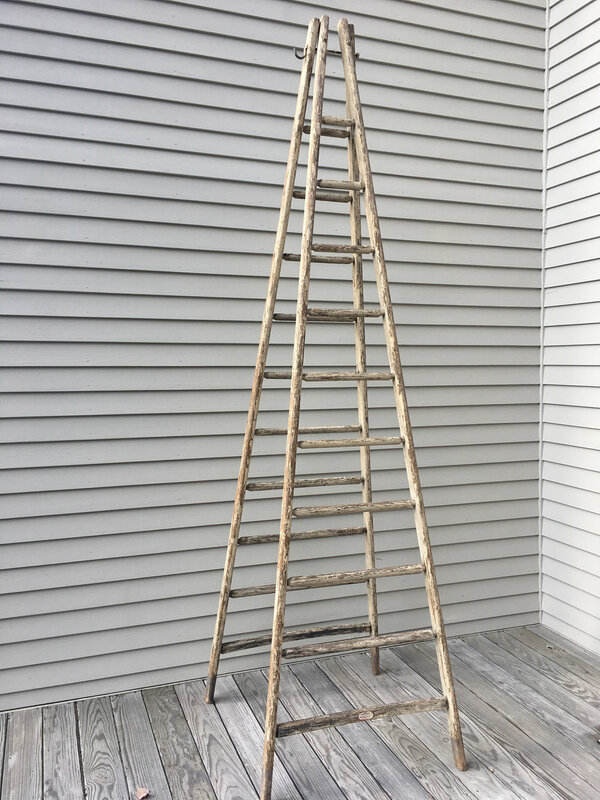 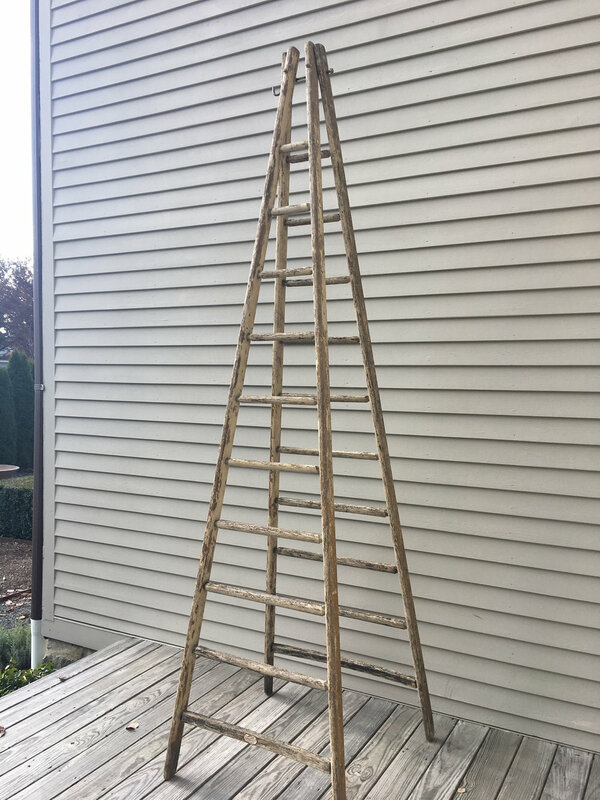 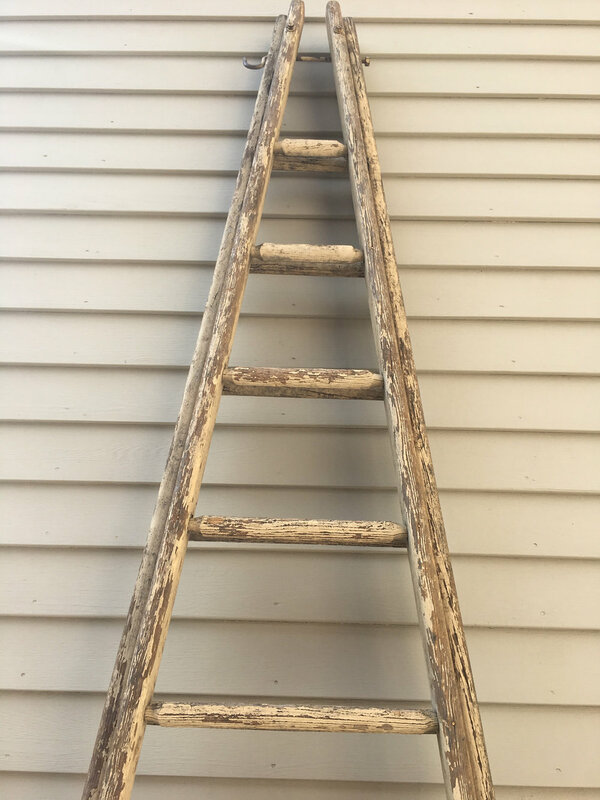 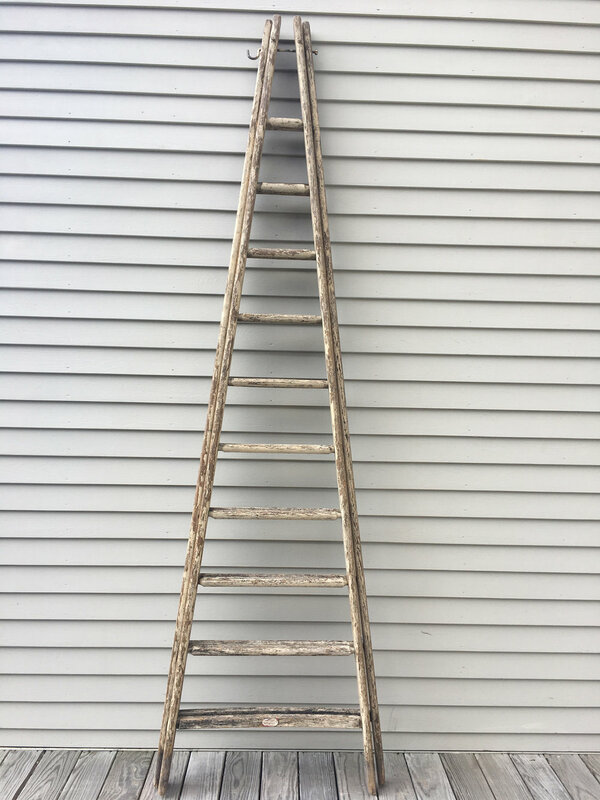 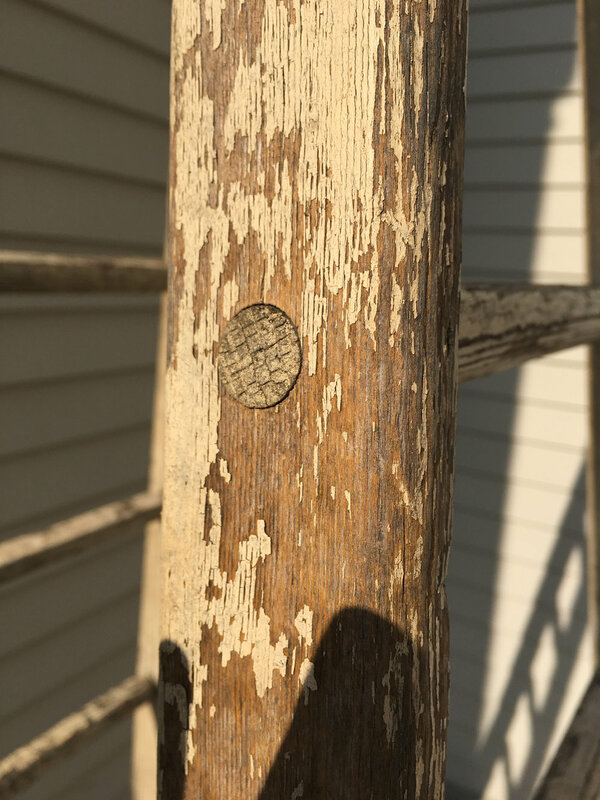 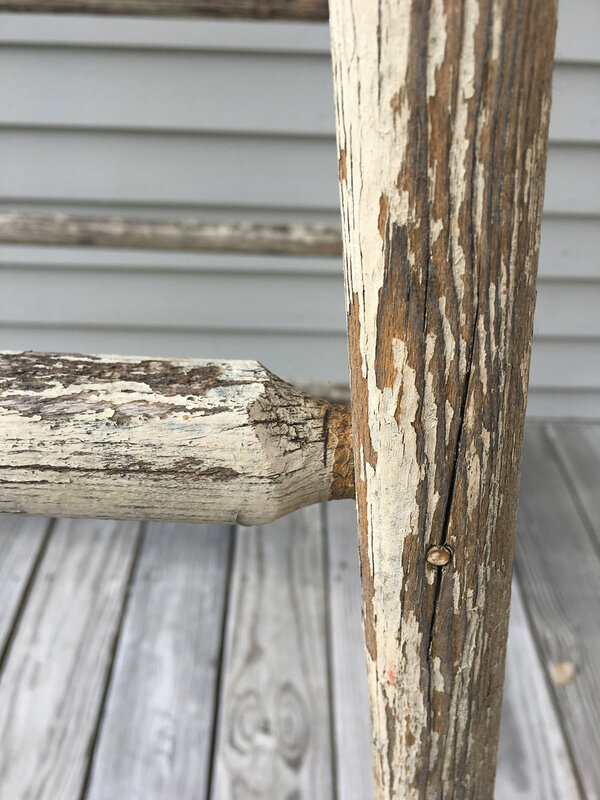 This very tall ladder is all handmade from oak and features traces of its original buttery-cream paint. 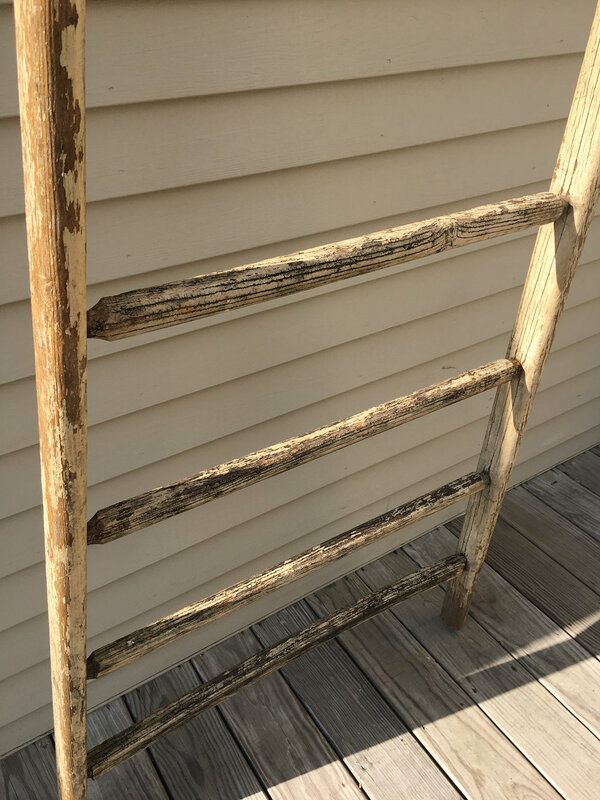 It would be perfect as a library ladder or as a towel rack and we can even trim it to your custom specifications if your ceilings do not accommodate its original height. 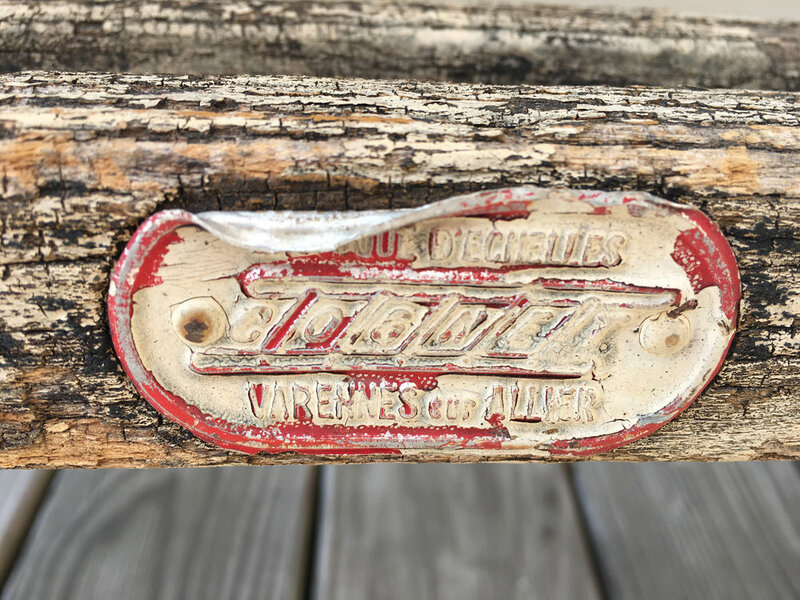 Original maker's label adorns the bottom rung.